After Apple announced the new iPhones this week, iPhoneography blogger David Pasillas came to me with the awesome idea of asking top iPhoneographers about their thoughts on the new camera in iPhone 5S. To help you make the best decision, we also asked them which iPhone they currently have, and whether they’re planning to upgrade to iPhone 5S. You might be wondering why we don’t talk iPhone 5C in this post. iPhone 5C has essentially the same internals (and the same back camera) as iPhone 5, which is also very similar to the back camera of iPhone 4S. For this reason only iPhone 5S is a worthwhile option for iPhone photographers – and anyone getting a new iPhone. Without further ado, I’ll let the experts share their thoughts on the new camera in iPhone 5S. Also known as Rubicorno, Davide is a talented iPhone artist and blogger. Check out my interview with Rubicorno. What are your thoughts about the new camera in iPhone 5S? I have to admit that my expectations were for more than 8 megapixels. An improved sensor and a better lens can make a big difference though, but I think we’ll have to wait for the first side-by-side photo comparisons with the previous models to really understand how much the camera has improved. Which iPhone do you currently have? I have an iPhone 4S, and before that I had a 3GS. In the previous transition the camera improvement was dramatic. I don’t expect it will be the same this time. Are you upgrading to iPhone 5S? Why or why not? I am very likely to do it but I will anyway have a look at the first hands-on reviews to check the camera improvements and that there are no major hardware issues with the new model. Geri is a passionate iPhone artist and the author of Art Of Mob mobile photography blog. Check out my interview with Geri Centonze. Initially I was disappointed when I heard that the megapixel count would remain at 8. After learning about the wider f/2.2 aperture and 15% increase in the size of the active sensor area, I realized that Apple’s approach to a better picture was not MORE but BIGGER pixels – and this was a good thing. I like the idea of an auto-stabilization feature as I’m always capturing images on the sly and sometimes staying inconspicuous doesn’t allow me to take my time to aim and shoot. Another feature that sounds intriguing is the multiple shots taken and combined in real time to produce the sharpest image. I have used camera apps that operate in a similar manner. ClearCam takes 4 shots and chooses the sharpest. Cortex Camera is unique in its process for creating the best image. I’m really curious to see how the 5S stacks up against these two apps that I often use. According to the official press release, Apple claims the 5S using the A7 chip will be able to provide up to two-times faster auto-focus and faster photo capture. The True Tone Flash with two LEDs will probably be an improvement over the current flash, but I rarely shoot with the flash, so that isn’t a deciding factor for me. I am currently shooting with the iPhone 4S – Black 16GB. Yes! I will be upgrading. I passed on the 5, but the improvements over my current iPhone 4S iSight camera are significant enough to warrant the purchase. My contract with Verizon also allows me to upgrade as of last month which sealed the deal for me! Now, to decide on the size and color – I’m thinking Space Gray, 32GB. I will hold onto my 4S long enough to take side by shots for a blog post comparison and then I’ll be selling it on eBay along with my Olloclip and case. I already have an Olloclip for the 5S, which I won from iMore during a recent photo competition. Can’t wait for the 20th! Allan Hoffman is a technology expert and the author of the book Create Great iPhone Photos. What’s striking about the iPhone 5S isn’t the camera itself, but what it says about how ambitious Apple is in trying to make the camera on your phone the only camera you’ll need or want to use. They know it’s not just about megapixels or other specs; it’s about image quality, ease of use, and features that’ll really make a difference for millions of photographers. The implementation of burst mode, in particular, seems really promising, especially for everyday snapshots where you’re trying to get just the right expressions among a group of people. I currently have an iPhone 5. I don’t plan to upgrade right now, but I’ll probably think about it after trying out the iPhone 5S at an Apple Store. 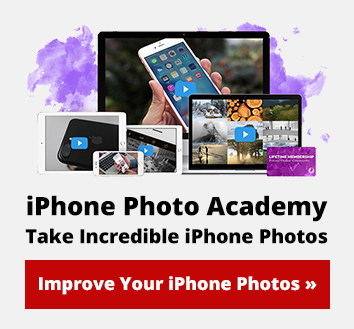 Matt is a professional photographer and the author of iPhone Photography Pro video course. I’m quite excited about the 5S. It has a lot of attractive features that shows Apple’s dedication to producing a better performing camera, competitive in the point and shoot camera sector. I currently have the once brilliant but now slightly dated iPhone 4S. I would consider the upgrade to the 5S only. I have no interest in the 5C. If I already had an iPhone 5 I might not have been as excited but there are big advancements between the 4s and 5s and I think it would open up a lot more photo opportunities particularly in low light with front and back cameras which I could definitely benefit from. Karen is a professional photographer and iPhone artist who covers her adventures with the iPhone on her iPhoneography blog. Check out my interview with Karen Messick. I think it’s cool and definitely an upgrade in the camera – and with the processing chip being faster – more efficient in use of time. Whether it makes my work easier or better significantly, I am not sure. I currently have the iPhone 5. Right now I am not upgrading. I have another year on my contract, and I may need to give the developers of my favorite apps time to update their apps (if necessary… but not sure that they will need to) as when the 4S changed to 5. I am not so much a techy as some of the iPhone photo gurus so I will defer to their technical expertise. I know Marty Yawnick thinks it’s pretty cool based on his post on Life in LoFi. I will upgrade when my contract expires. David is a professional photographer who also writes a blog about iPhone photography. Check out my interview with David Pasillas. I’m intrigued by the improvements made to the camera. It sounds like we now have a smart camera in our smartphone. Combining photos to create the best possible image is amazing, if it does a good job. The true tone flash seems pretty brilliant. 10 frames per second burst is also impressive. The one disappointment I had was the lack of a 12 megapixel sensor in the 5s, but it sounds like they were able to improve the image quality, and dynamic range, while sticking with the 8MP sensor. Maybe they plan on saving the 12 megapixel sensor for the 6. Yes, I’m definitely upgrading. I really need more storage space for all my photography apps and photos. Plus a faster processor would make the edits go quicker. The improvements to processor speed, security, and the camera are enough to get my money. I can’t wait to see how it performs. You may think it’s smarter to wait for the iPhone 6, but there’s no guarantee that the camera will be upgraded. Keep in mind there was hardly any improvement to the camera from the 4s to the 5. Marty is the author of Life In LoFi, one of the world’s leading mobile photography blogs. I covered this in depth on Life In LoFi. I’m excited about the new camera, especially the improved optics and the larger pixels of the new sensor in the camera. The 5S should have a better depth of field, better low-light sensitivity, and better dynamic range. The iPhone is definitely not a lo-fi camera any longer. As far as the 8 MP resolution, I think Apple made the right call here by not succumbing to the marketing magic of Samsung and using a lower quality 12 MP camera. 8 MP is a very good size for prints and enlargements. Instagram, where most photos are shared, only uses less tan 0.4 MP images. Facebook about 3 MP. If I had to choose between an 8 MP camera that created beautiful, vibrant, bright, outstanding photographs or a 12 MP camera that took flat, dull, okay pictures, I’d go with the camera that gives me the best photograph in-camera to start with. I guess the image quality of the 12 MP modules isn’t quite there yet. Oh yeah, right away! PANTONE Space Gray, please. I’m ordering mine at 12:01 am on September 20. I’m excited about the new processor. Zoom! 64-bit architecture is going to revolutionize the mobile space. I can’t even imagine what “significantly faster than an iPhone 5” is when my iPhone 5 was significantly faster than my iPhone 4S. Emil is a passionate iPhoneographer and the founder of iPhone Photography School. I was almost sure that Apple would increase the megapixel count in iPhone 5S as 13-megapixel mobile sensors are readily available for a company like Apple. So when I found out that the new iPhone still has an 8-megapixel camera, I was at first disappointed. However, I soon realized that Apple had done something even better. Instead of blindly increasing the number of megapixels for the sake of marketing, Apple has made significant improvements to the lens and sensor, the two most crucial elements of any camera. I think that the new camera will perform significantly better in medium to low light thanks to these changes. Thanks to the new lens and sensor – and other new features such as the A7 chip, True Tone flash, auto image stabilizer, burst shooting mode and slo-mo video recording – the iPhone will likely maintain its position as the world’s most popular camera. I currently have a black iPhone 4S 16GB. Yes, I’ll definitely upgrade. While the 4S is still an great phone, the advancements in iPhone 5S – particularly the new lens and sensor, auto image stabilization, 64-bit CPU and fingerprint reader – make it an excellent upgrade. This time I’ll go for the 32GB model since 16GB is just not enough for storing a reasonable amount of photos and apps, let alone HD videos. In terms of color, I have a hard time choosing between silver and space gray. I will be ordering an unlocked iPhone 5S the moment it becomes available, but it will take me a while to get it since a friend will be bringing it from the United States (that way it’s cheaper). iPhone 5S is not available for pre-order, so if you want to get in on the launch day, you have to pick it up in-store on September 20. There will likely be massive lines outside most stores, so online ordering is probably your best option. Online ordering begins at 12:01 AM Pacific Time on September 20 (click here for countdown and conversion to your local timezone). The initial supplies will be tight, so I recommend ordering yours as early as possible to avoid shipping delays.